which had been filed for a broad range of goods and services in classes 9, 35, 39, 40, 41, 42 and 45. The reason for the refusal is that EUIPO found that the mark was devoid of distinctive character and that it merely informed consumers of the quality of all the goods and services at issue, without exception. The Office thus adopted a general reasoning in respect of all of them. This decision was annulled by the General Court (case T-222/14 (in Spanish) which, after considering whether the Office had examined in sufficient depth the distinctive character of the sign at issue in relation to all the goods and services for which the application had been filed, held there to be a flaw in the reasoning of the Board of Appeal. The appeal to the Court of Justice (case C-437/15P) therefore centered on the question of whether EUIPO should assess the capacity of a sign to identify a given business origin with respect to each and every one of the goods or services, or whether, on the other hand, a global analysis of the goods or services will suffice if the Office finds them to have some relevant characteristic in common. As we are all aware, EUIPO is under an obligation to state the reasons for its decisions, in order that the interested parties may know why their trademark is being refused access to the register and also that the courts of the EU may be in a position to oversee the legality of the decision. When a trademark application is filed, the Office should indeed carry out an assessment of the capacity of the sign in question to distinguish the goods and services it covers. This will entail, in principle, an analysis of each and every one of those goods and services. However, an exception to this rule arises when the goods and services are interlinked in a sufficiently direct and specific way, to the point where they may be grouped in homogeneous categories. In that event the Office may confine its assessment to each of those categories. The General Court relied on the order of 18 March 2010 (in case C-282/09P) to distinguish different categories into which the goods and services of the rejected mark could be grouped (cinema, advertising, storage and transport of goods, etc. ), maintaining that they were very different in their nature, characteristics and purpose and that the Office should therefore at least have analyzed each of the homogeneous categories within the application. EUIPO’s position, in contrast, was that if all the goods and services have a characteristic in common, which in the present case would be that they are all of superior quality, they may be regarded as forming a single category and, therefore, a general statement of reasons will suffice. The systematic repetition of the basic ground for the refusal, which is that the sign is devoid of distinctive character in respect of each and every one of the goods and services, may thus be avoided. 1. Checked whether the mark applied for, which comprises a word and a figurative element, could be perceived, directly and immediately, as a claim of superior quality or a laudatory message, rather than as an indication of the business origin of the goods and services. In the affirmative, the refusal of the application would be fully justified without the need for an examination of the sign in relation to all of the goods and services. 2. 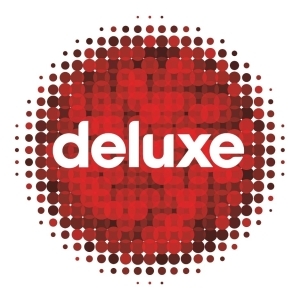 Checked whether the word element of the sign, “deluxe”, indeed conveyed the idea of superior quality or whether it could have a different meaning. In the latter event the mark could have a sufficient degree of distinctive character in respect of some of the goods or services. In that case an assessment of each of them would be required and different conclusions could be reached. The Court of Justice held that the General Court had failed to appreciate that, despite their differences, all the goods and services at issue could have a common characteristic relevant to the analysis of the absolute prohibitions on registration which could justify their being grouped in a single homogeneous category and the consequent use of general reasoning in relation to them all. The case has been referred back to the General Court and we shall therefore have to wait for a final decision on the substance. All people must be thankful that the union has taken a step forward towards solving the issue. Now essay on time.com it is a matter of time that all the issues will be resolved soon.